PhD in Medical Physics & Medical Imaging (Nuclear Medicine), University of Surrey, UK (2007). Thesis title: “coded aperture for planar breast tumour imaging using Monte Carlo simulation”. MSc in Medical Physics, University of Surrey, UK (2002). Thesis title: “Influence of phase cancellation in measurement of Ultrasound attenuation in bone”. 1. Consultant at the ministry of higher education, vice ministry for scholarship, medical education department (2011-2015). 2. Vice dean for academic affairs, college of applied medical sciences, KSU (official letter No. 3/12/234374), (2009-2011). 3. Head of the Radiological Sciences Department, CAMS, KSU, (official letter No. 3/12/2355 (2009-2011). 4. Initiated and supervised the Quality & Accreditations Unit, CAMS, KSU, (2008). 5. 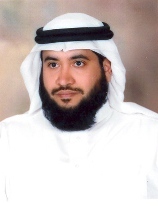 Supervised the Radiological Sciences Department, CAMS, KSU, (2008). 6. Supervised the CAMS Electronic Website, KSU, (official letter No. 3/12/2355 (2008). King Khalid University Hospital, Riyadh, KSA, (2015-2017). Armed Forces Hospital, Riyadh, KSA, (2013-2015). King Fahad Medical City, Riyadh, KSA (2010-2011). Military Hospital Riyadh, KSA, (2007-2009). Royal Surry County Hospital, Guilford, UK, (2003-2005). Royal Marsden Hospital, London, UK, (2001-2002). Hammersmith Hospital, London, UK, (2001-2002). St. Gorge Hospital, London, UK, (2001-2002). Aberdeen Hospital, Aberdeen, Scotland, UK, (2000-2001). King Faisal Specialist Hospital & Research Centers, Riyadh, KSA (1998-1999). King Saud Medical Complex, Riyadh, KSA, (1996-198). Formulation of DeWaxy agent for Fertilizer Coating. 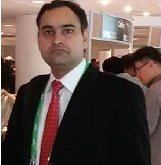 Mukesh Singh Boori is Senior Scientist in Samara University Russia and Adjunct Professor in American Sentinel University Colorado USA. Currently he is involved in remote sensing and GIS teaching and Russian academic excellence project. He has also held positions at University of Bonn Germany, Hokkaido University Japan, Palacky University Czech Republic, Ruhr University Bochum Germany, Leicester University UK, NOAA/NASA USA, JECRC University, JKLU University, MDS University and JSAC/ISRO India. He hold Postdoc from University of Maryland USA, PhD from Federal University – RN (UFRN) Brazil, Predoc from Katholiek University Leuven Belgium, MSc from MDS University and BSc from University of Rajasthan India. He received several distinguish awards including national academy of sciences (NAS) fellowship through national research council (NRC) central government of USA Washington DC, European union social fund through ministry of education, youth & sports Czech Republic, Honorary fellow University of Leicester UK, Prestigious Brazil-Italy government fellowship, Belgian and Indian government space fellowship. He published 100+ peer-reviewed papers including books as a first author in the field of earth and space science and his prime research interest is satellite earth observations through remote sensing & GIS technology. He is a member of many scientific societies / journals / committees, led a number of projects, organized a number of conferences, delivered conference opening ceremony speech, invited talk, co-chaired sessions and visited 20 countries. Quantitative estimation of land surface variables for natural resources management in the context of global change from satellite remote sensing. Spatio-temporal analysis of remotely sensed data to bring improved information for natural resource monitoring, management and modeling. Applications of remote sensing and GIS in different fields such as land use/cover change, vulnerability, climate change, urbanization, environmental monitoring and assessment.